Gardening with kids is an activity that keeps on giving. It’s one of our favorite Spring activities. There’s the fun of choosing the plants, planting them and watching them grow, but the main reason I love gardening with kids is that it creates an activity that can be done everyday. I have yet to meet a toddler who doesn’t enjoy watering plants (and the grass, themselves, the dog and whatever else they can wet with the watering can!) and it becomes and activity that you can do each day. If you plant a herb garden they can then go and collect the herbs when needed or when you have a lot growing (we put them in freezer bags and freeze for later when we have too many). The photo at the top of this page is actually 2 years old now and we are still using our wheelbarrow garden with our herbs in them. We have replanted a few times, and added a couple of new things, but my toddlers use this almost everyday. We decided to make a wheelbarrow herb garden because our neighbor was getting rid of an old wheelbarrow, so it cost us nothing. Ask around and see if anyone has an old one laying around that they don’t want or check out EBay or garage sales to pick up a cheap one. If you do buy one new you can get a cheap one for around $50. Watering Can – Obviously any watering can will do and you can pick these up for as little as $1 from department stores, but I have to confess to buying the cute Chameleon one below. At least we use it everyday! Herbs – You can buy seeds, but I recommend buying small punnets of herbs so that they can see what they look like when they’re planted. We all know that toddlers have no patience so this way they can be watering the herbs and picking them straight away. What herbs to buy: I’m not a gardening expert (not even close) so I recommend talking to your local gardening center to find out what herbs will grow best for your climate and location. We live in a very hot and humid climate and I found that basil and mint grew really well (2 years on and it is still going strong). Chives grew OK but not great and our coriander died pretty quickly. I don’t think it liked the heat. Try to chooses herbs that can handle a LOT of water as toddlers LOVE over watering plants! 1. (optional) Paint your wheelbarrow. We really only did this because ours was so old, but it came up really well. My husband used some old spray paint we had in the garage and it came up really well. 2. Drill drainage holes in the bottom of the wheelbarrow. We drilled 4 in an average size wheelbarrow and this has worked fine. 4. Dig small holes and plant each herb (follow the instructions that come with the herbs). If you create your own herb garden I would LOVE to see it. You can email it to us, or share it in our Facebook Group. 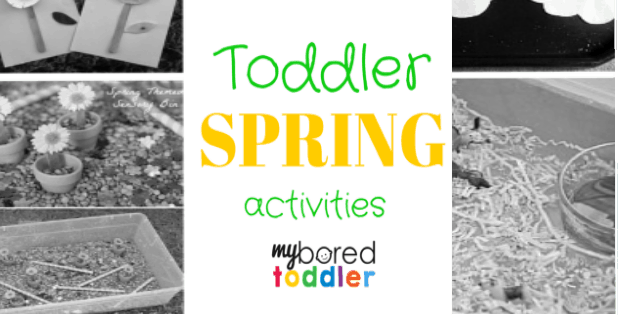 See more Spring Activities for Toddlers here. Thanks! It’s been on of the activities that we enjoy over and over again. So much fun, I cannot wait to make an herb garden in our old wheelbarrow. Thank you! Thanks! The kids like it and it’s great that we can move it around. They’re a hit in our house! So cute! T loves getting in the garden, especially if it involves his wheelbarrow! We plan on making a herb garden for him soon. Thanks Heather – I’m sure they’ll love it if you do it. This is such a brilliant idea! I can’t really plant anything in my garden because I rent but I really wanted to do some gardening with Elsa. She would love this. This is great for a rental. daniel and Emma are into gardening in a big way – we have been planting seeds and the such but this sounds like a good idea to try with them too. 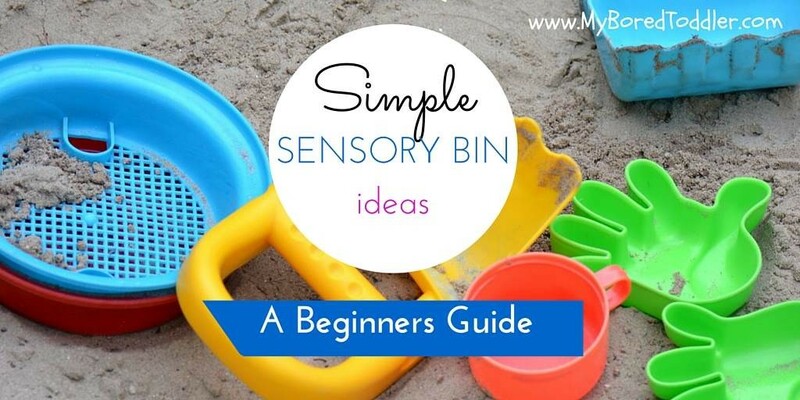 Great idea Carol, and one we are definitely going to be doing, a great start to getting the kids (and me) gardening. This looks fab. 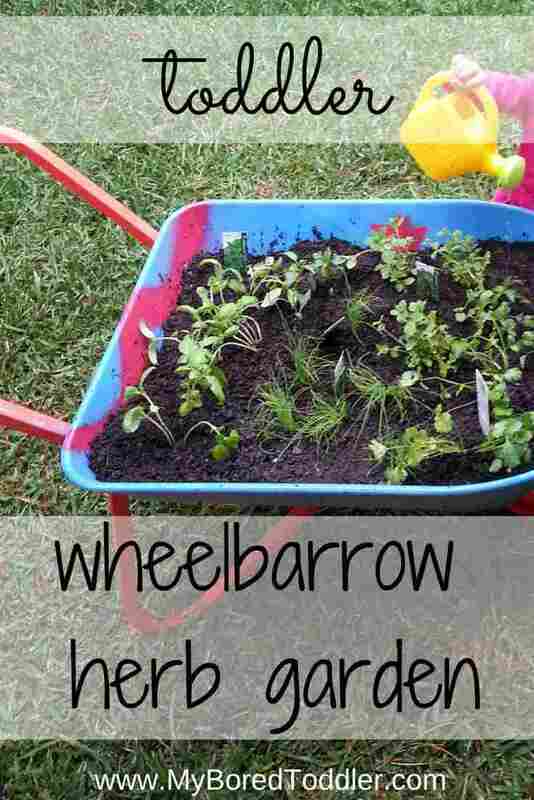 It’s great to get the kids growing plants and a good idea to do it in a wheelbarrow which not only looks good but also allows the children to have a little area to garden. So cute!! I need these things this weekend when we are gardening!! Thanks Carrie – that’s a lovely comment! Lovely idea. We use a lot of herbs, so this would be really nice for the children to grow them in a lovely unique way. Glad you like it! I must admit I love having the fresh herbs available now. This is such a cute idea! Thanks for linking up at the Thoughtful Spot Weekly Blog Hop! We hope you stop by again next week! Thanks Samantha! Thanks for the lovely comments. We have 2 dogs and this does stop them eating them, though I do catch the kids eating them when they walk past! We’ve been wanting to start an herb garden. 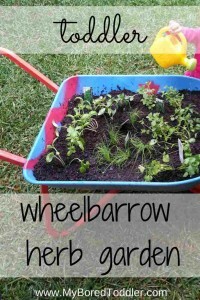 Love the idea of using a wheelbarrow. HOW CUTE is this!! I love it. You could sit it on the patio or in the garden itself. SO CUTE! This is such a great idea. I love the creativity with nature. What a sweet idea! I’d love to find one of these at a yard sale to do this with. Visiting from The Thoughtful Spot Blog Hop. Such a cool idea!! Thank you. We love anything to do with gardening and nature at out house. Thanks for the great idea. I have everything I need to make this happen, except for the green thumb. I’m hoping that our privacy landscaping that we’re putting in on Monday will help me feel more comfortable going outside at all hours. This is a great idea and I think I would like to have one!! Thanks for bringing this by Throwback Thursday! Brilliant idea. We’re trying to get the kids to grow vegetables in these too. Have you tried that before? Any tips there?